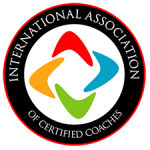 Last week, I shared that I believe there are endless possibilities for creating a coaching niche. There’s so much room for coaches to be creative, but, in the profession of coaching, there is very little creativity and very little felt permission to actually be creative. So I was delighted a few weeks back when I met a coach who had found a way to wrap coaching around a personal experience that she was passionate about. To make matters worse, she grew up in a poor family, and, as adulthood took hold of her life, she found she had no means to ever make traveling a reality. Somehow, around age 30, she came to a breaking point. A lot of her “practical, realistic” plans hadn’t really panned out. On a whim, she decided that she would sell everything, get a ticket, and trek Europe. That impulsive decision really allowed her to find herself. The result, some 10 years later, is she is a Life Journey Coach. She specializes in merging travel with self-discovery. Clients work with her to travel to places they’ve always longed to see, and she builds packages that integrate travel, sightseeing, tours, and self-awareness coaching. When I talked to her, she was 1 week away from bringing a group to some obscure town in Mexico where they would live for a week in a monastery, do gardening and other sorts of activities, along with scheduled coaching sessions. That’s creative! That’s bold! And who told her that she could do something like that? Shouldn’t someone have told her that she should have been more reasonable and practical? After all, how many people can pay $100’s much less $1000’s of dollars on a single week of travel and coaching? I’m so glad she didn’t choose the “reasonable,” most trodden path that coaches typically choose. And now she’s merged her two passions and absolutely crushing it. Her experience was her own passion, it was unique, authentic, and it challenged people to stop settling. It was the making of a great coaching niche that, honestly, I would have never even considered. I think most of us haven’t thought about how our experiences can be monetized as a coaching niche. I would guess that’s because we’ve never really taken stock of our lives as anything but normal, predictable, common, and, perhaps boring. But the normal, everyday life is anything but when you have a comedian like Jerry Seinfeld who finds humor in the everyday mundane that we just didn’t notice that was so funny or insightful. He’s amassed a fortune by recounting everyday observations. We were all looking at the same thing, but he simply had a different lens. So what I’m saying is that any and every experience that you’ve had in your life might very well be a place where you’re going to discover your niche. A paralegal who worked for a divorce attorney who decided she wanted to coach people who were going through divorce. A lady who had taken care of her terminal mother for the last 2 years of her life that created a niche out of that experience. A coach who had gone through several tragic losses and created a grief recovery coaching niche. Honestly, there are so many unique as well as common experiences that can be drawn from. Hopefully, this gives you some idea as to the possibilities that exist. The bigger challenge isn’t going to be the number of possibilities that one can come up with, but, rather, narrowing them to the right niche for you. You need to have a passion for it. It needs to be authentic to you. It should be coachable and not involve advising or therapy (that’s the caution I’d make about things like grief coaching). And finally, you should be able to explain what you do in 30 seconds or less. As always, please share this article and engage us in conversation on Facebook, Instagram, and Twitter.